A 17yr. old Israeli born citizen applies for a driving license.Which physician is certified to perform a medical examination for his application? How should those involved in a road accident, which resulted in property damage only, conduct themselves? Exchange identifying details and wait for the rescue forces without moving any of the involved vehicles. Clear their vehicles away from the roadway, without delay, and exchange identifying details. Report to the police and wait for its instructions. Call the rescue forces and wait at the place of the accident without moving any of the involved vehicles. Unless One year passed from the date he obtained the tractor driving license. Unless 6 months has passed from the date he obtained the tractor driving license. Unless 3 months passed from the date he obtained the tractor driving license. Unless he successfully completed a correct driving course. Is it permitted to take one hand off the wheel or handlebar while driving? No, except for changing gears and operating the direction indicator, or in order to assure the vehicles proper function. 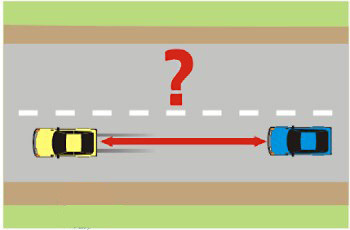 How should a driver conduct himself when another vehicle suddenly emerges in his driving lane from the opposite direction, heading towards him? Swerve to the left and drive on the opposite lane, which is currently free. Honk and signal the other driver to get back to his lane. 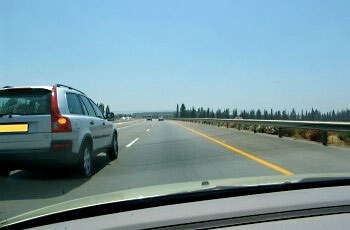 Slow down, pull as far right as possible and even pull onto the “hard shoulder” if necessary. Turn on his high beam and signal the other driver to get back to his lane. When is a driver obliged to wear eyeglasses or contact lenses? When his driver’s license states that he must wear them while driving. While driving in limited visibility and when he is dazzeled. 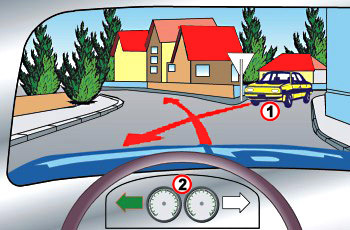 You should accelerate and quickly pass the crossing before the pedestrian arrives. Use the horn to warn the passenger and quickly pass before him. Continue driving normally; the pedestrian should make sure not to do anything risky and not to disturb you. You should slow down and allow the pedestrian to finish crossing. Is it permitted to drive under the influence of an intoxicating alcoholic drink? Yes, provided that the driver doesn’t mix drinks. Yes, but only after family gatherings and for short distances. 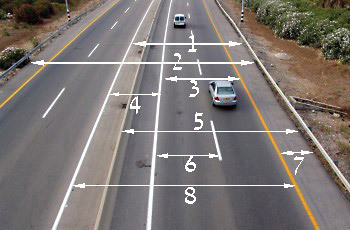 Under which conditions is it allowed to deviate from a driving lane? At a slow speed and by deviating sharply. Provided that no risk or disturbance is caused to any other road user. Only after signaling and looking at the mirrors. Does an agricultural trailer require a warning triangle? Only trailers with an own weight of up to 4,000 kg. Only small trailers with an own weight of up to 500 kg. The vehicle’s weight with cargo but without the driver. The vehicle’s weight without cargo and without the driver. Do you (vehicle no. 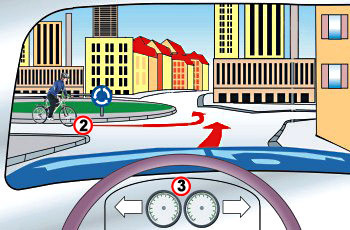 3) have to give right-of-way to the cyclist (2) in the roundabout? No, because the cyclist always yields to other vehicles. No, it depends on my good will. No, the rules of right-of-way in a roundabout do not apply to cyclists. Only on a non-urban road. Only on a two-way urban road. Only when a “pedestrian crossing ahead” sign is placed. What should you do when facing a structure, post or closed area, while driving on a one-way roadway? 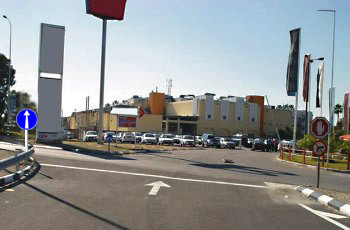 On an urban road - from either its right or left side; on a highway – always from its right side. It is permitted to overtake it, unless the roadway’s width is less than 6 meters. It is forbidden to overtake it. It is only permitted to overtake it in case of a level crossing with a barrier. Who is a “road user”? You should verify that the passenger sitting in the left back seat gets out very carefully from the car to the road. You should verify that the maximal distance between the car and the pavement is one meter. Before getting out of the car, you should verify that this will not disturb any road user. If the street is not lit, you should turn on the parking lights. Is a policeman allowed to detain without a warrant a driver who committed an offence in front of him? 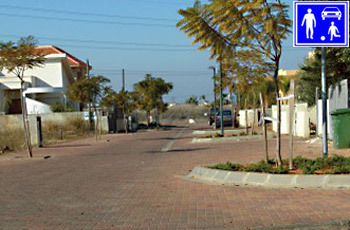 What is the maximum allowed speed in a “play street”? It is forbidden to overtake, or to try overtaking, within a distance of 100 meters before the tunnel. 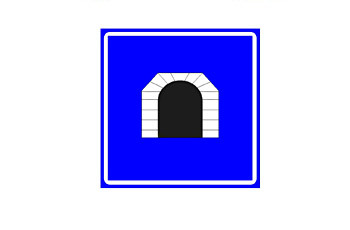 If the tunnel is sufficiently lit, it is also permitted to overtake inside the tunnel. It is forbidden to overtake, and to try overtaking, within a distance of 250 meters before the tunnel. Is it permitted to stop any type of vehicle where the following signpost is placed? Yes, during day time only. Yes, when there are many available parking spaces. It is forbidden, except for a vehicle with a tag, as stated on the sign. Any vehicle having a regular handicapped pass is allowed to park there when the spot is available.